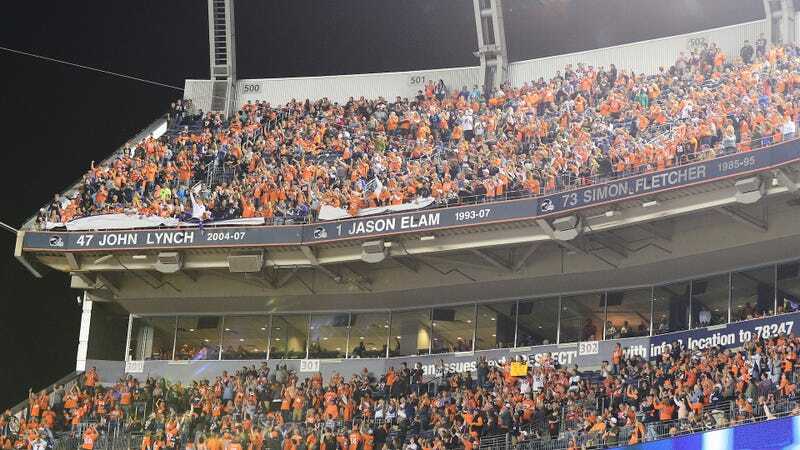 A 36-year-old Broncos fan fell from a “severe height” while leaving last night’s win over the Texans, and the Denver Medical Examiner’s Office pronounced him dead this afternoon. Jason Coy fell last night at 9:45 p.m. local time, and an emergency crew responded to a 911 call shortly after. Coy was taken to the hospital, where he died of blunt force trauma, per the Denver Post. The Denver Police Department is reportedly conducting an accident investigation, and they’ve preliminarily determined that Coy fell from a height of about 60 feet.